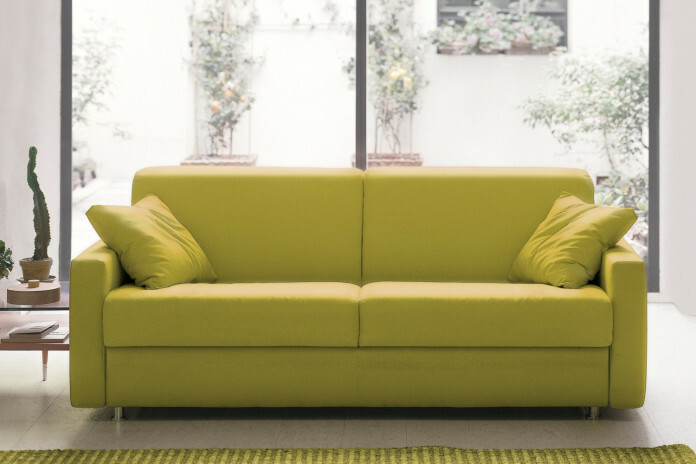 Eric is a yellow 2-seater couch in fabric, leather or eco-leather with a versatile look, ideal for all modern and classic environments. The wide range of covers available allows you to play with colours and create a sofa with delicate and relaxing shades or with bright and shiny tones. The attention to its aesthetic look is combined with a great practicality: the cover can be always removed and washed according the specifics of every material. 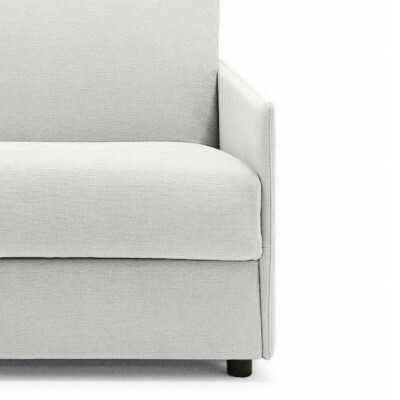 Thanks to the 8 armrest models that complete the wide seat, Eric is suitable for any kind of space and furniture style. 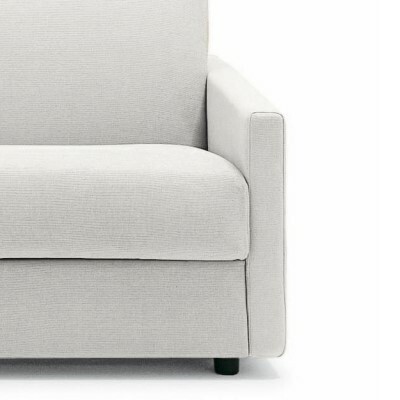 The armrests dimensions and style define the sofa final style. 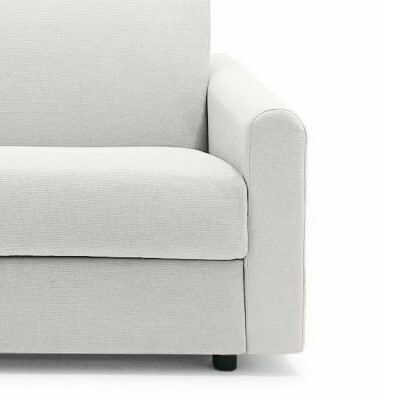 Eric sofa dimensions changes according to the armrests chosen. View all the dimensions in the Specifications tab. 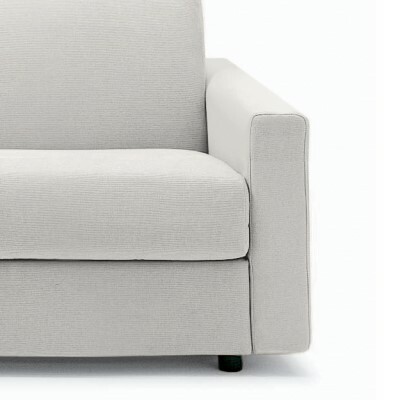 The sofa is available in 8 models characterised by armrests with different shapes and dimensions. To select the model you like, you only have to click on the corresponding image you find in the configuration menu. 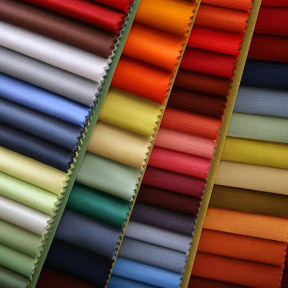 Eric is available in fabric, eco-leather and leather in all the colours displayed in the samples page. Its cover is completely removable. Frame: backrest in fir wood, poplar plywood and elastic webbing. Armrests in fir wood, particle wood and poplar plywood. Headboard in particle wood, poplar plywood and solid fir wood. Non-bearing front panel in particle wood. 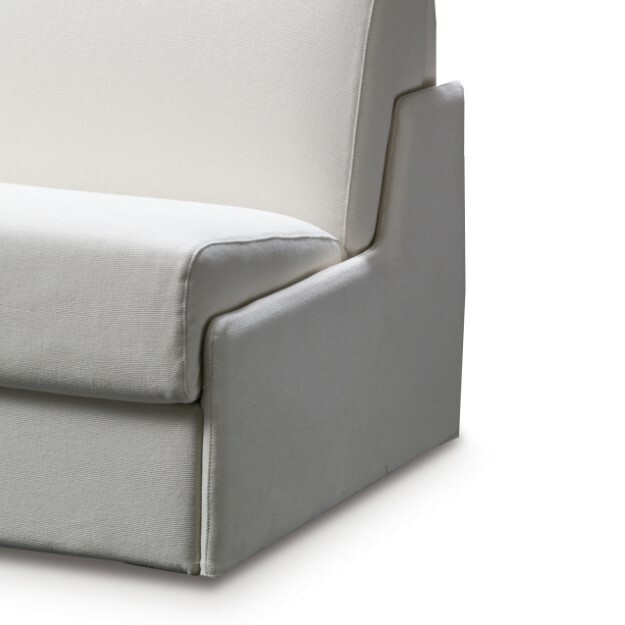 Seat: 25 kg/m³ expanded polyurethane covered with 400 gr/m² 100% PL wadding and mm 2,5 quilted interliner. 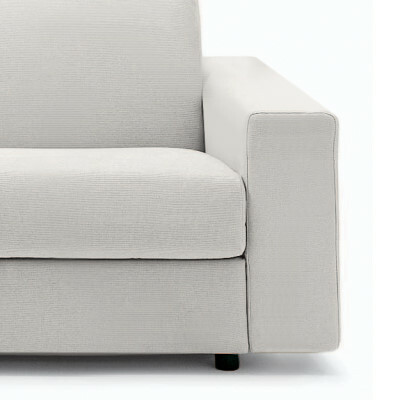 Eric and Eric-3-4-5-8 armrests: 40 + 30 kg/m³ expanded polyurethane, interliner combined with mm 10 expanded polyurethane. Eric-2-6 armrests: 30 kg/m³ expanded polyurethane, interliner combined with mm 10 expanded polyurethane. Eric-7 wooden armrests: particle wood, wengé painted oak veneer.